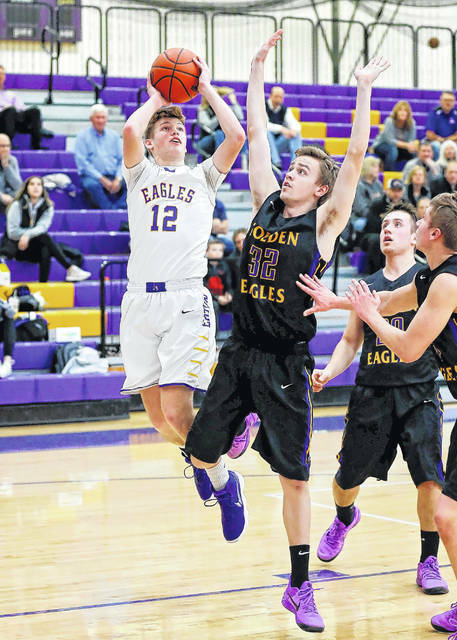 Grant Sullender led Eaton with 28 points, but the Eagles dropped their final game of the regular season, 60-41, to Bellbrook on Friday, Feb. 16. 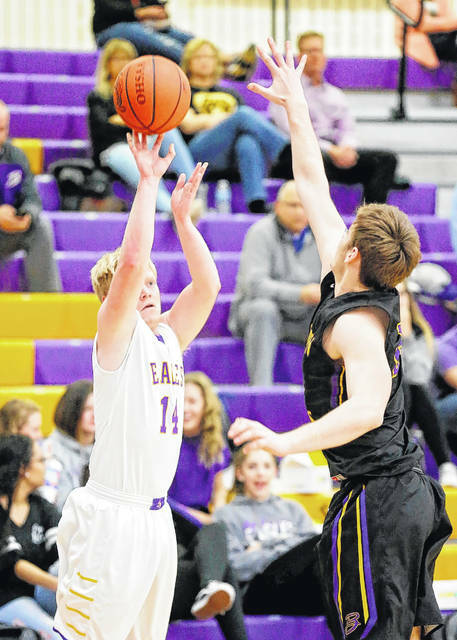 EATON — Eaton’s boys’ basketball team couldn’t keep pace with a hot-shooting Bellbrook team on Friday, Feb. 16, as the home-standing Eagles fell 60-41 in the regular season finale. Eaton finished the regular season 1-20 overall and 0-12 in the Southwestern Buckeye League Southwestern Division. 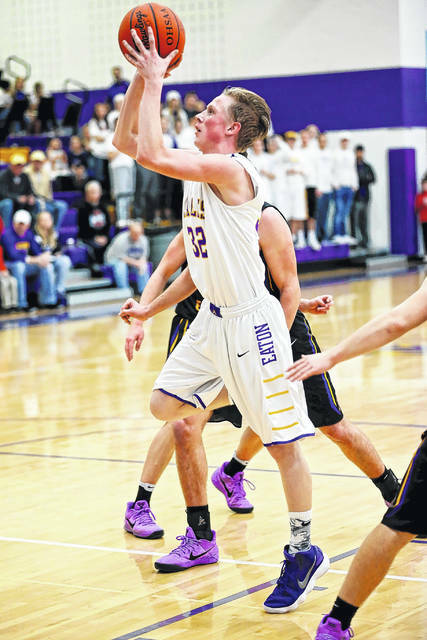 Eaton trailed 10-4 after the first quarter only to see Bellbrook make 9-of-11 shots in the second quarter, including going 6-of-7 on 3-point attempts, to take a 34-21 halftime lead. 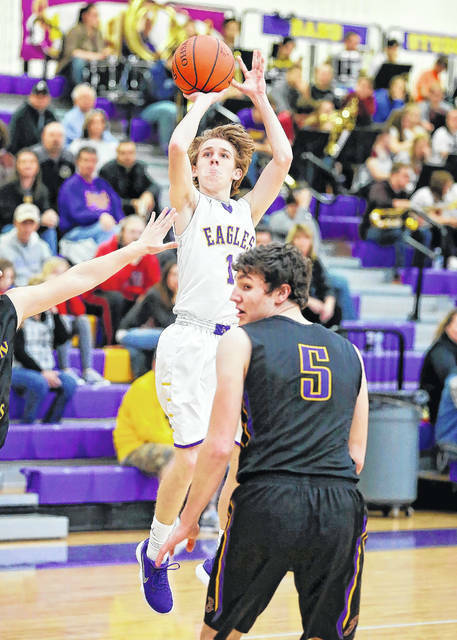 Bellbrook continued its hot-shooting in the third quarter, making 7-of-9 shots which included a 3-of-4 performance from 3-point range to extend the lead to 51-31. For the game, Bellbook was 24-of-38, while Eaton shot 17-of-45. 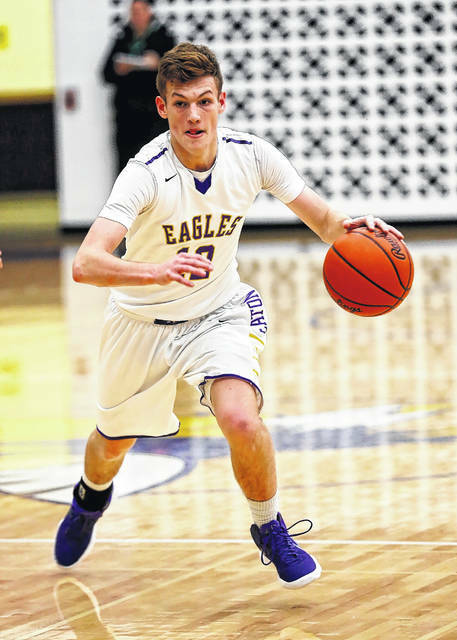 Eaton was led by senior Grant Sullender’s 28 points. Sophomore Hunter Frost added five points and five rebounds. The game marked the final home game for Sullender and fellow senior Aaron Tolliver, who finished the game with two points, three rebounds and three steals. Eaton is scheduled to play Thurgood Marshall on Friday, Feb. 23, at 8:30 p.m. in the first round of the Division II sectional at Trent Arena, in Kettering. 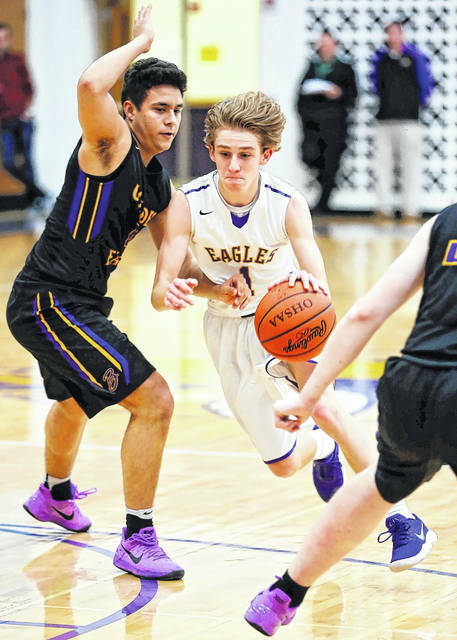 https://www.registerherald.com/wp-content/uploads/sites/41/2018/02/web1_EATON-VS-BB-2.jpgGrant Sullender led Eaton with 28 points, but the Eagles dropped their final game of the regular season, 60-41, to Bellbrook on Friday, Feb. 16.